Note: Below is a Fantasy NASCAR Martinsville Speedway preview article from Wheels (@DK_Wheels) and Jeff (@BlueDevil3331) of the Power Hour DFS (@PowerHourDFS) crew. Holy smokes, it's hard to believe, but we're already six races into the 2018 NASCAR Monster Energy Cup Series (NMECS) and we're coming out of the traditional Easter break. 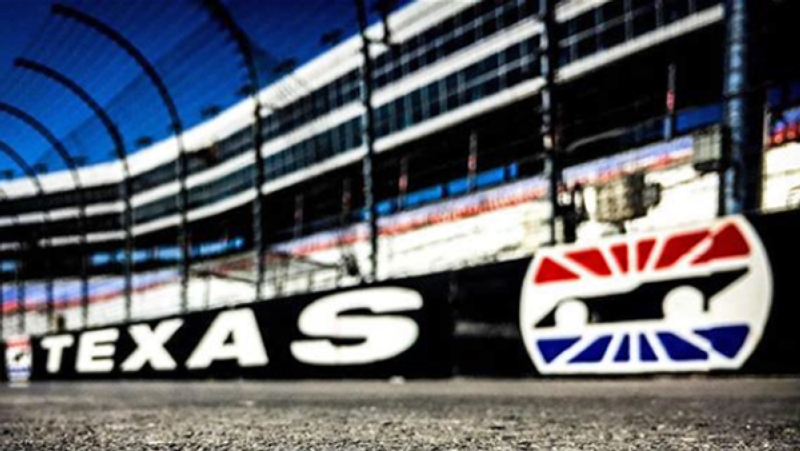 This week, the NMECS heads west to Texas Motor Speedway for some more 1.5 mile racing. 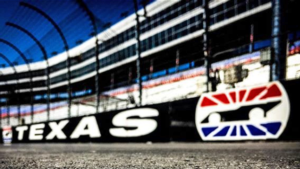 During last year's off season, Texas Motor Speedway underwent some renovations, which included the repaving of the entire track and re-profiling Turns 1 and 2 where the banking was reduced from 24 to 20 degrees (Turns 3 and 4 remain 24 degrees) and the racing surface was widened from 60 to 80 feet. All of this makes for some very fast racing, which leads to our next point, and a change for this year…tires. The teams this year will be wearing a new left-side Goodyear tire. As we already touched on the track renovations, the repave yields more grip, and in-turn, you get your speed and heat in the tire. But because they're racing on such a young track, with a smooth surface, the tires hold their rubber, causing very little rubber to get worked into the track…this equals fewer racing grooves. Although, there have been Tire Monster and Tire Dragon sightings this week in an attempt to create multiple grooves (and a higher groove, hello Kyle Larson, who finished second here last spring). Last spring Jimmie Johnson was victorious here as he passed Joey Logano with 17 laps remaining in the race. The 48 team's current struggles (winless with one top-five in their last 29 starts) are no secret; however, if there is a track where they can get back to their winning ways, this is it: in 29 starts at Texas Motor Speedway, Johnson has seven wins, 15 top-five and 21 top-10 finishes. Martin Truex Jr - Last season Truex was head and shoulders above the field at intermediate tracks in general and Texas was no different as he posted scores of 61.25 and 105.25. Truex and Pearn were class of the field in 2017 on way to their championship season, but opening 2018 they were clearly behind SHR and had some catchup to do with the offseason rule changes. But fast forward to race number 7 and Pearn has made major gains and has been very strong over the last 2 races, so look for Truex to be a name that we see out front of the field this Sunday at some point or another and in contention for the W.
Kevin Harvick - Harvick was behind Truex is 2017 and a lot of that could visibly be credited to the SHR change from Chevy to Ford, but down the stretch Harvick came on strong. Not only did he come down strong, but he actually chased down the dominate Truex in the fall race here at Texas to get the W and advance in the playoffs. Combine all of that with how well SHR is performing and more specifically, how well this #4 Ford is performing and look for Harvick to be one of, if not THE favorite yet again. Chevy - Taking a little bit of a different angle on this one but this Camaro is clearly behind, similar to how the Toyotas struggled out of the gate last season with the new Camry. Jimmie Johnson was the top scorer one year ago here at Texas, but don't expect to see that happen on Sunday! Kyle Larson is really the only Camaro inside the top 10 in season-to-date DraftKings scoring. Yes, Austin Dillon won the Daytona 500 but we all know that a win on a Superspeedway doesn't carry over to the cookie cutter tracks and unless they came back to the East Coast and really found something over Easter break I expect them to struggle this weekend. Running well - has three top-six finishes; coming off a win at Martinsville and his price drops $200…Huh??? In 2016, he started 16th and finished 13th here, filling in for Dale Jr.
His Xfinity numbers are just CRAZY here! Not the same kind of Xfinity numbers by any means, but at this price in Gibbs equipment at an intermediate track and Suarez is definitely in play early on in the week! Posted 26.5 and 22 DK pts in his two races last year which he will need to improve on to pay off but I do think that if he qualifies anywhere outside of the T12 that he will be in play this weekend. Come on, did you expect me to NOT pick Ragan at this price point??? Ragan is consistent as a play in this range…outside of Daytona, he has finished in the top-25 all five races…this price allows you to load up on your dominators. In five career cup races Buescher has posted 24.5 or more DK pts and 30.9 on average which is ~5x value. He is in a Chevy and I am lower on Chevys in general this weekend, but in Buescher's case, I just think he is priced too low and will be one of the exceptions this weekend, especially considering the salary relief that he provides.